Starting to write on a topic of this magnitude and scope is probably beyond my realm of expertise, however, I feel the need to bring the information I have been researching, discovering, and studying for the past few years to light. I find everything I've learned to be some of the most fascinating topics imaginable; Neuroscience, Quantum Mechanics, Technology, Physiology, Cosmology and Quantum Biology just to name a few. More importantly these new discoveries hold of wealth of knowledge and knowledge is power. That being said, the lack of knowledge is also a lack of power. I will be upfront with you, the contents within are not for the faint of heart. It will take quite some time to get through all of the material and proofs that are contained inside if you follow all of the links and watch all of the video/documentaries it may challenge some of your long held dogma's. Finding, reading, and going back through all of these books, journals, and papers, coupled with the many hundreds of hours of documentaries, took me a long time to get through. Not only in being as intellectually honest as possible with myself, which at first slowed the process dramatically as I was pretty hooked on some of my own definitions and dogmas, but more so at times finding myself on a seemingly never ending quest for a deeper understanding of what makes me, me. New things were being discovered and different conclusions were being reached while I was researching certain topics. I'm in my 7th year of research. I believe I've gotten down to the "meat and potatoes" of most of these subjects and I assure you I will do my best to keep the explanations as simple to understand as possible. This paper will be chalk full of links for YouTube videos, blogs, research journals, books, pictures and graphs. If you find the material interesting dig into the links to further explore the subject as what I present will have been peer-reviewed in a majority of cases so you will be able to go right to the source. If you are as ready as I am and you plan to stick around, be prepared to not only discover some amazing new scientific information, but to go on the journey of your life time. Keep an open mind but keep it grounded in logic and reason, play Devil's Advocate! Follow your path of highest excitement, bookmark this paper and come back later! Share it with a friend! Half of the best part in all this is finding this stuff out for yourself, the other half is bringing others along for the ride. Bring back some new information! With more people to discuss these possibilities we can mold these ideas together. All through history amateur "scientists" in the simplest of terms, have given big contributions toward "main-stream" science. Most by themselves. Imagine what a group of passionate, open-minded, driven "amateurs" could do with the explosive growth of technology now. We are approaching a paradigm shift in our view of ourselves and existence as as a whole. Imagine how the world took to the news that the Earth was not flat, imagine the people who had never even stopped to think about what it was they were really standing on. Or what about when we learned that everything didn't revolve around us, not even the sun. Or when we found out we were closely related to gorillas and chimpanzees through evolution. The evidence for this paradigm shift is piling up across multiple fields of science, but most scientists do not have the time to cross the thresholds of their individual fields and examine the full implications of their findings. There are also some scientists who aren't as intellectually honest as the rest and cling to past paradigms for fear of soiling a lifetimes worth of work. It can at times lead to conflicts-of-interest where proper work may not get published, or published in such a way that most will never read about the experiments. Thanks to the internet however, the information can get out and receive the recognition it deserves. We have the chance to be the torchbearers for a new age of understanding, unity, peace, and love. As for those who aren't open minded or brave enough to, at times, question some of your most fundamental human ideas and beliefs, turn back now. For those on the fence, please try to engage the information presented in such a manner as to promote social conversation, and debate. Portions of this model are bound to be redefined in the future as new information is presented. Skepticism and open-mindedness work best together. 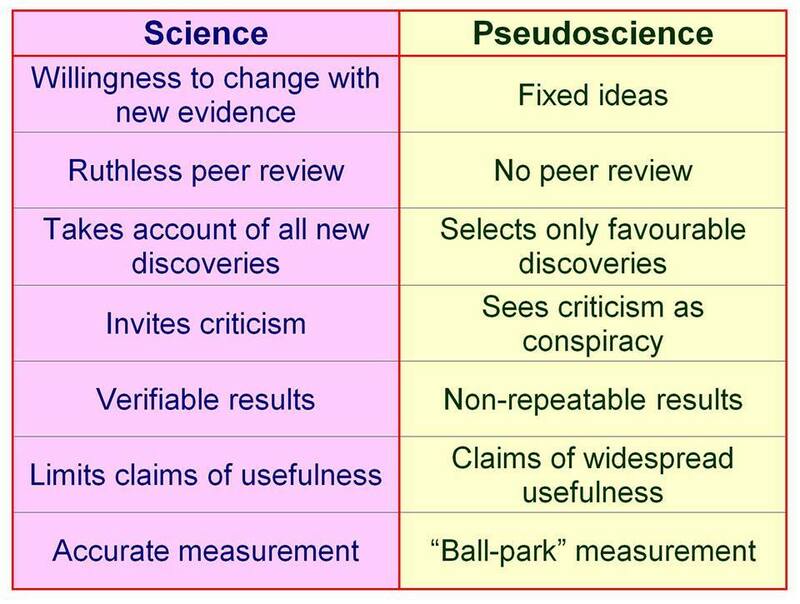 With that being said I want to quickly show the difference between "Science" and "Pseudoscience" so that everyone is on the same page, and as a friendly reminder to myself. There is scientific fact contained within that has followed the scientific method and achieved repeatable results, even if those results seem counter-intuitive. Whatever we may feel about the information presented is irrelevant. We must be intellectually honest with ourselves and others if we are to come together and bring any lasting hope of peace to the world and our children. The only thing that can not divide us any further is Truth. There will at times be some conclusions reached along the way through speculation, when that time comes it will be pointed out. This should not deter a full examination of the model itself as with any group of new discoveries it is only in speculation that we again move forward in science. The Earth was first proven round through mathematics. It took the Portuguese explorer, Ferdinand Magellan speculating that the theory might be right and that they wouldn't fall off a corner of the Earth for the all important "majority" to accept the math. It's time we accept what science now has to offer. It's time we updated our "current" 300 year old view point. Let's remind ourselves that not even the great Einstein (1879 – 1955) believed in some of the things his own theory proved, but of which the modern age wouldn't exist without. I've got the a warm-up video for you. This is "Michio Kaku: The Universe in a Nutshell" from the channel, "Big Think" which I highly recommend if you like learning "on the go," as they are mostly short, one subject, videos. He will quickly explore the history of physics from beginning to end, and even touch on String Theory. Grab some popcorn if you're going to watch this one tho, it's 45 minutes long, it's recent (published Aug 5th, 2012), highly animated and Michio Kaku is a great teacher. I'd finally like to throw out a quick thank you to all the people that have been stuck watching documentaries with me, or listen to me babble on about Quantum Physics or some other crazy subject. You've helped me more then you know! Dig deep, and hold on, we have amazing things to discover! Don't forget the other chapters!